While car sales often lag during August, when family vacations take priority, the Chevrolet Volt proved an exception to the rule last month. During August, 2,831 of Chevy's range-extended electric car found buyers--along with 685 Nissan Leaf battery electric cars. The third high-volume plug-in car on sale in the U.S. is the Toyota Prius Plug-In Hybrid, for which sales will be reported later today. Following a grim year of adverse press, the Volt seems to be finding its stride. 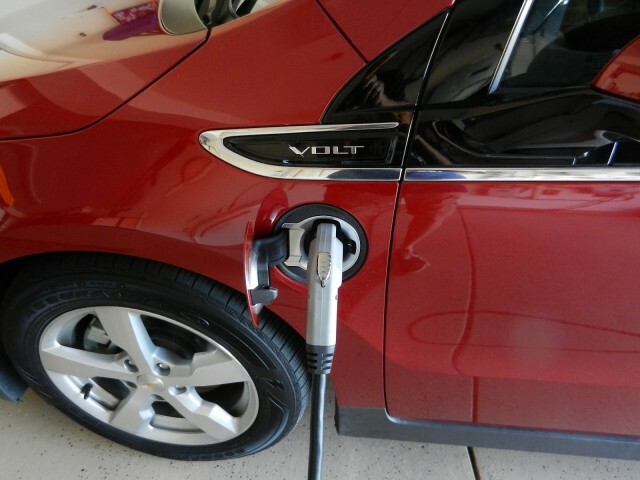 Last month, 1,849 Volts were sold, and this month's sales bring the Volt's 2012 total to 13,497. GM still plans to suspend Volt production at its Detroit-Hamtramck assembly plant to match supply to sales, and add tooling to assemble the 2014 Chevrolet Impala there. But at least for the moment, it appears that Volt sales have surged to new heights. This month's total of 2,831 is the highest-ever monthly volume for the Volt since it went on sale In December 2010. The Nissan Leaf, on the other hand, seems stuck around sales levels of 500 to 750 a month. August deliveries rose substantially versus a July total of 395, but total year-to-date sales of 4,228 are just one-third of the Volt total. And Toyota's plug-in Prius, which benefits from the reputation of the world's first and highest-selling hybrid vehicle, looks to be settling in at sales of perhaps 750 a month. Last month, Toyota sold 1,047 Prius Plug-In Hybrid models, bringing the year's total to 6,082. That's more than the Leaf's total, making the plug-in Prius the second best-selling plug-in car in the U.S. Sales of the Ford Focus Electric, the battery electric version of the compact hatchback, totaled 34--bringing the yearly total to 169 (out of 993 built to date). The numbers for the Mitsubishi i electric minicar continue to be low: 37 sold in August, for a total of 403 during the 2012 calendar year. And rounding off the low-volume plug-in vehicles, the 2013 Honda Fit EV logged deliveries of 9 units in August. That's a slight increase over the 7 that were leased in July--Honda is only leasing the electric Fit, not selling it outright--but it won't move the needle overall. Among other makers of plug-in electric cars, Coda Automotive, Fisker Automotive, and Tesla Motors refuse to report monthly sales totals. 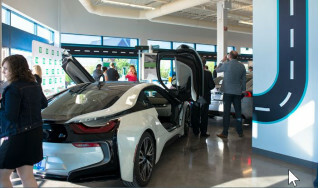 Last year, U.S. buyers took delivery of 17,000-plus plug-in vehicles. August's sales numbers continue to support the notion that this year's sales will be about double that total, perhaps slightly higher. The final total likely depends at least party on how many Tesla Model S deliveries the Silicon Valley startup can manage by December 31.